Charlie Harrison and Kialani Hines take wins in Washington. 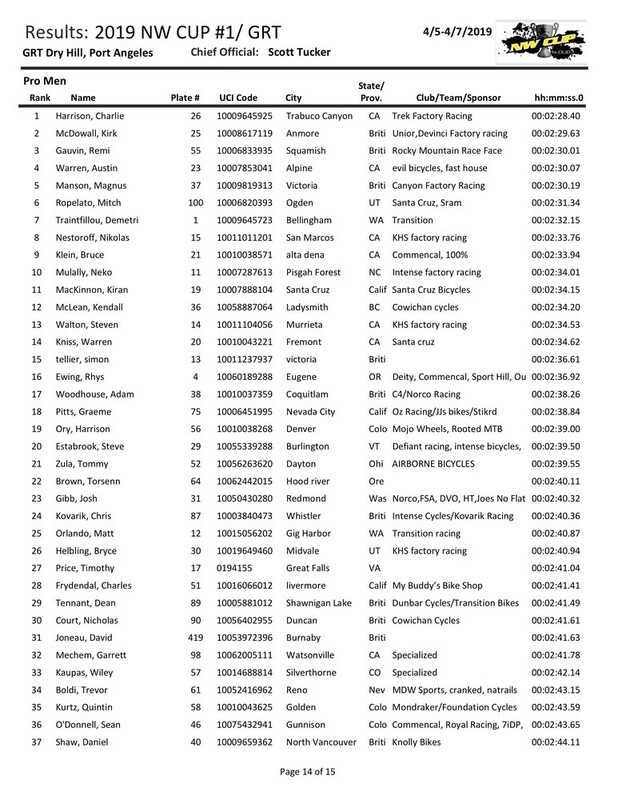 The 2nd round of the 2019 Pro GRT concluded in Port Angeles, Washington with Charlie Harrison and Kialani Hines taking Elite victories. 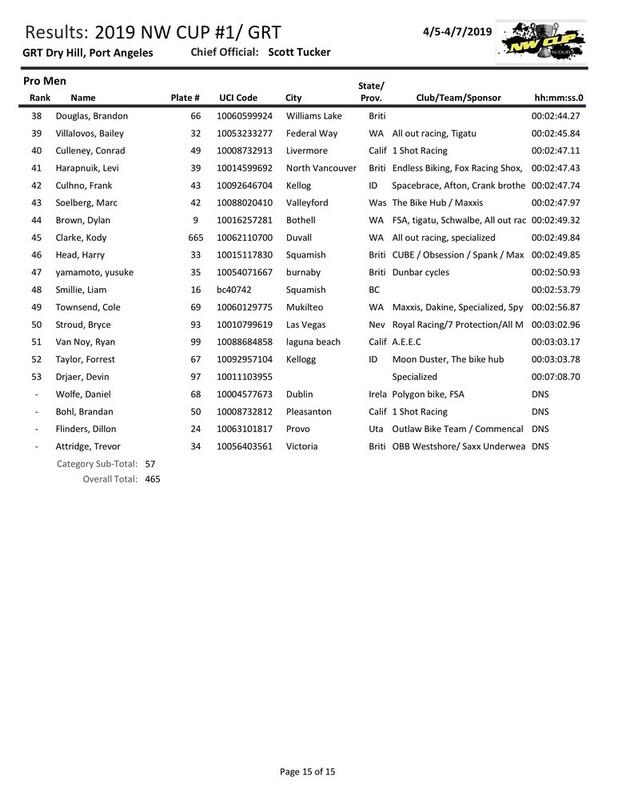 EWS shredder, Remi Gauvin, took 3rd place on a DH bike that he apparently had one day on before the race. 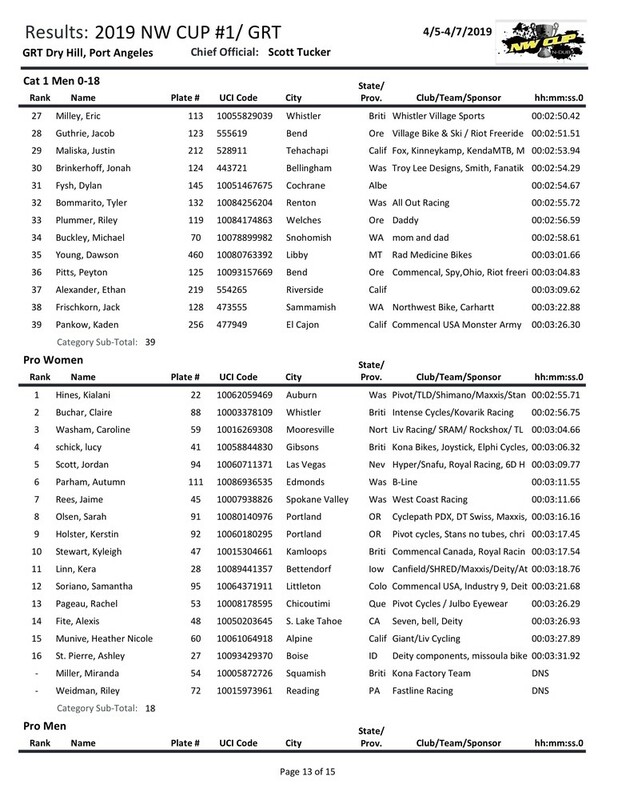 Pro Men's and Women's results below or view the PDF with complete results here. Vital RAW should hit later tonight.